Making nautical charts for navigation and determination of rocks, sand bars, lights and buoys. Making subaqueous investigations to secure information needed for the construction, development and improvement of port facilities. 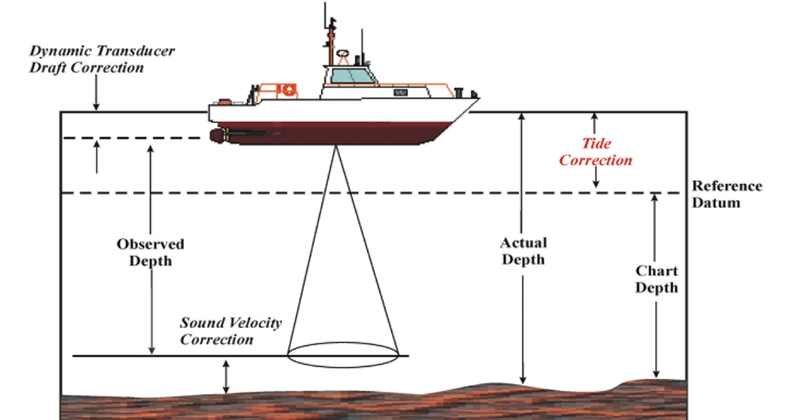 Measurement of areas subject to scour or silting and to ascertain the quantities of dredged material. 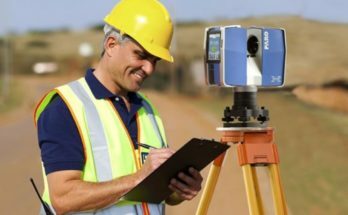 Controlling and planning of engineering projects like bridges, tunnels, dams, reservoirs, docks and harbours. 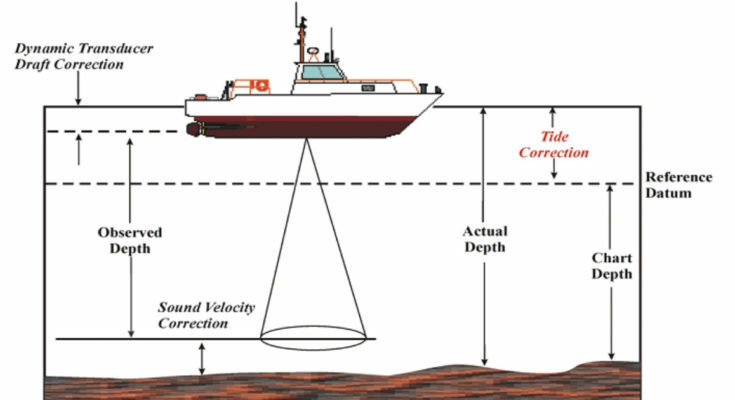 Establishing mean sea level and observation of tides. Determination of shore lines and measurement of discharge of rivers.